THE PICKIEST EATER IN THE WORLD: GREENWICH'S HAWAIIAN OVERLOAD PIZZA AND CREAMY CARBONARA PASTA! Greenwich introduced it's two new classics made better: It's the Greenwich Hawaiian Overload Pizza and the Creamy Carbonara! 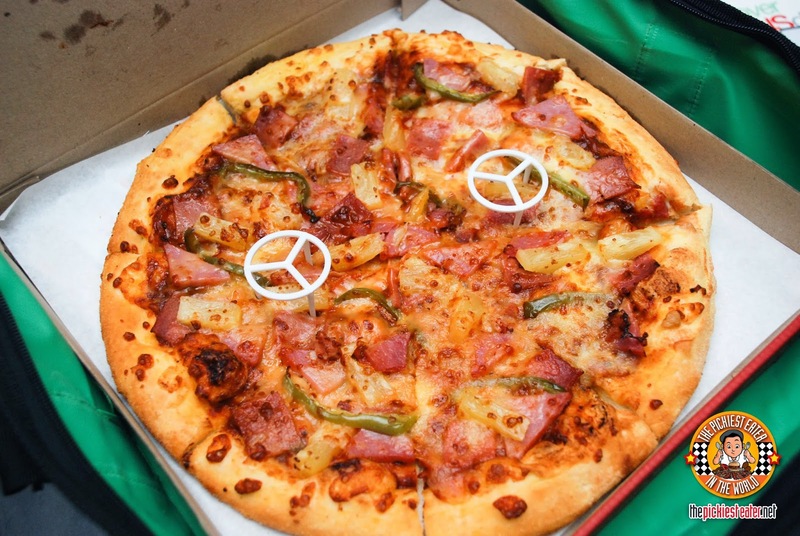 This is not your usual Hawaiian Pizza wherein you can only see ham and pineapple. Greenwich's Hawaiian Overload Pizza (price starting at P99 for solo size pizza) is not just overloaded with juicy pineapple and savory meat, but you also get crunchy bell peppers! It's a lot more colorful and has a lot more flavors exploding in your mouth. I'm acidic and so I usually stay away from any citrus fruits but I have a weak spot for Hawaiian style pizza. 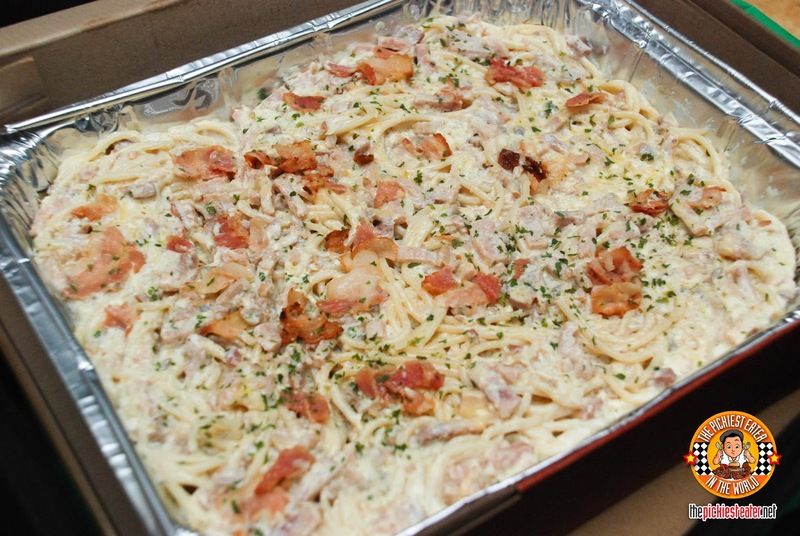 The second box is a pan of Greenwich's Creamy Carbonara (starting at P79 for snack size ala carte). A rich and creamy white pasta that is perfect for me again because of my acidity (tomato-based food is my kryptonite). And of course it has bacon bits so I really felt it was made for me. Haha! It is made from al-dente noodles and then paired with a piece of garlic stick. These two new gastronomic flavors are your sure bet when you need to feel some friends or relatives coming over. A flavor that everyone will not protest to for sure! Thanks for the special treat, Greenwich! Not only am I addicted to your Pizza Thins, but now I'm hooked on your Overloaded Pizzas! Which is good.. because Greenwhich is giving you all a chance to win a FREE TRIP TO HAWAII!! 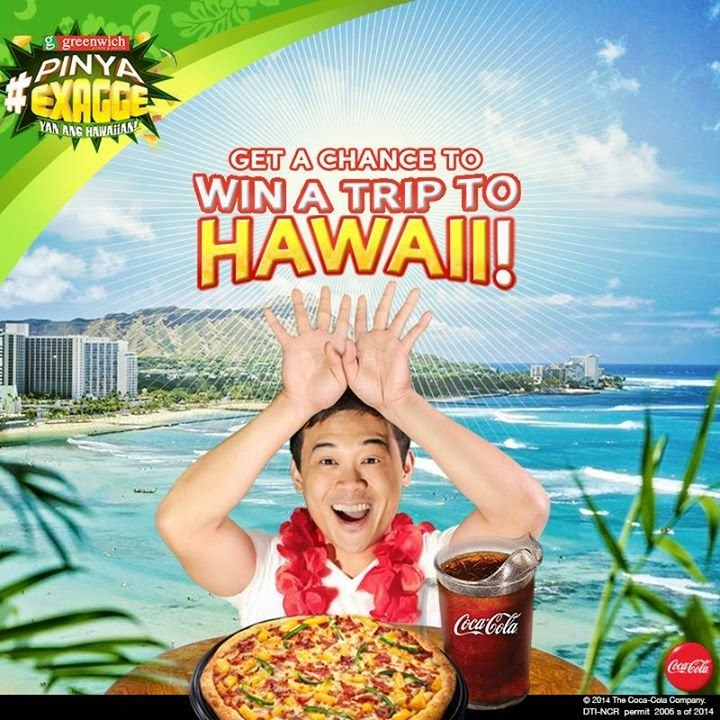 Submit your entry for the #PinyaExagge pose, and you'll have a chance to win! Check out The Greenwich Barkada Facebook Page For more details! 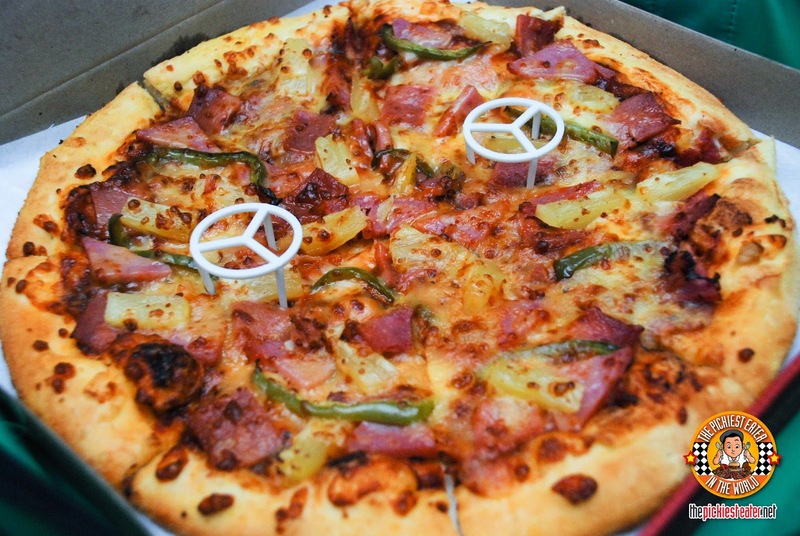 Greenwich Delivery 5-5-5-5-5 for Metro Manila, 435-5555 for Cavite, or 245-1000 for Cebu. 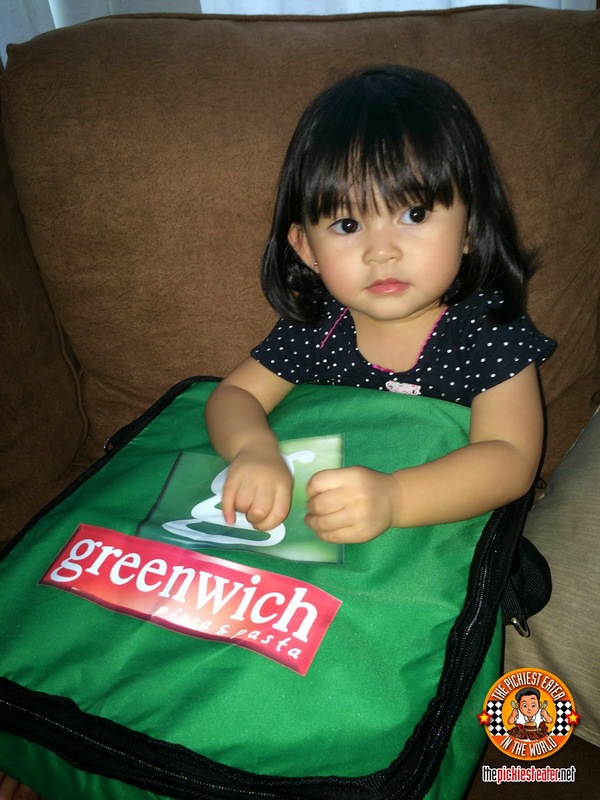 Check out www.greenwich.com.ph for more info on other store locations. Id love to try the pasta! Its good that its al dente. Ive tended to gear away from fast food pasta because the noodles tend to ve over cooked for my taste. To soft. But next time I stop by for my pizza thins movie snack Ill grab a plate of pasta to try out!